Our manufacturer has supplied us with a picture of the very first SloppyBowl to come off of the pattern made for the production tool. This is before the excess is trimmed, but you can see the shape of the bowl. 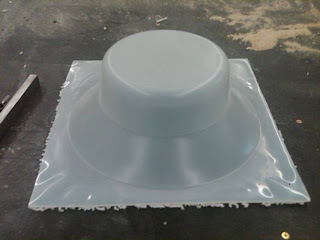 Three pieces were molded and trimmed - we should have them in hand on Thursday, April 18th.